Kuala Lumpur is a unique metropolitan city known for its amazing architecture, people, culture, Malaysian cuisine and its rich history. 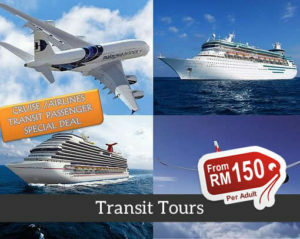 The Transit Tours offered in Kuala Lumpur is a great way to spend your day around the city. A tour of Kuala Lumpur will keep you busy when on transit or during a cruise stopover. 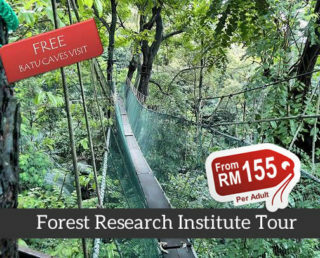 This is the best way to discover Kuala Lumpur if you have limited time. 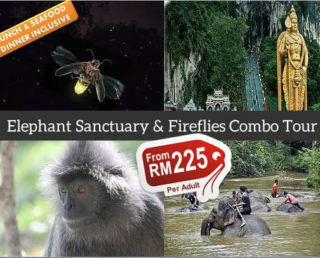 Your visit of Kuala Lumpur starts with an excursion to the Batu Caves. These caves are estimated to be 400 million years old and you will have to climb a total of 272 steps before you reach the end of the cave. The caves are closely connected to the Hindu culture in the country. Afterwards, you will get to discover the more modern parts of the city. 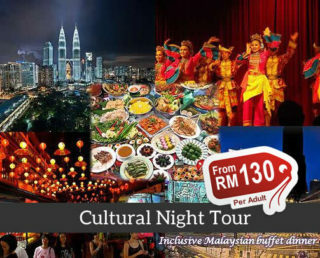 The tour will take you to the center of Kuala Lumpur where you will see amazing buildings such as the Golden Triangle, the Cricket Club, the Railway Station, King’s Palace and the National Mosque. The tour will also include a visit to the world-renowned Petronas Twin-Towers, the tallest building in the country which stands at 452 meters. Your tour will then take you back to the airport or the seaport so you can catch your plane or get back to your cruise after having discovered the amazing city of Kuala Lumpur. You have to book your tour at least 24 hours in advance and keep in mind that the tour is subject to seat availability. View after view after view! Never thought Malaysia looked this good. Thanks for the great tour guys! This tour was recommended to me by my Indonesian friend. At first I am not sure to take it because it takes long, but since I am traveling alone, I realized I might as well join a tour group. It was fun and I made friends during the tour. It is also very time efficient, so on my next day, I just used to explore some local food in KL. All I needed to hear was a full tour of the city on a relaxing transit cruise and I was in. They were true to their word and were able to provide a quick but awesome experience. I highly recommend going on this tour if you want to see everything KL has to offer but are short on time. A thumbs up to MyTravellane! The tour was very cool and informative. i learned a lot about KL. Recommended to all tourists. The tour guide is informative and funny. Must do when in Kuala Lumpur. Thanks My Travel Lane..
Nice Tour ; Mr. Rahman very good . On time pick up. And very nice driver and the car. Friendly staff and driver who helps me with the lugguage. The driver knows the way to our destination very well. Highly recommended. Awesome Experience!!! Hassle-free and kind drivers! Easy to find the driver in the arrival hall. Helped with the luggage to a clean and comfortable van. Great service and very clean and comfortable vehicle. Driver drove safely and that’s all that matters! Great service and very clean and comfortable vehicle. Driver drove safely and that’s all that matters! Excellent! Communication well! Driver was very helpful even though we were late for 15 mins. Professional! The driver is ready to arrive at the hotel and it is safe to drive us to the destination. The driver arrived early, with us talking and laughing, very comfortable ride, the future will use this service. It’s a good service, we all enjoyed the ride to airport . The driver is responsible, late have a notice, do not worry. Helpful and polite driver. However needs to be sure when collecting cash from the customers. The driver is very punctual and convenient. 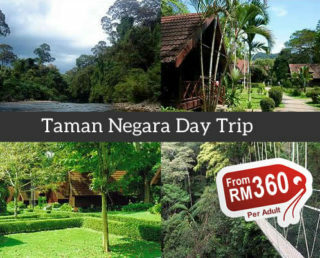 You can enjoy the scenery of Malaysia along the way and arrive at the hotel on time in 4 hours. The driver was very punctual and the ride was smooth. He only went to Kuala Lumpur to take things to his friends. It was a boutique shop. We have no consumption, only the toilet. The driver was informative and knowledgeable. Highly recommended. Thank you. Worth every penny! The tour might seems rush but they’d actually give you enough time to check out each place and take photos. Everything on this program is fantastic. My regards. Thanks. driver has comes on time. On the way, he show us some famous place of kualalumpur. Great tour service. And cheap too It was nice- easy trip to explore city. The tour was value for money. The driver tour guide was very knowledgeable and articulate. He also managed the time quite well. Our kids enjoyed and learned a lot. It was really good! Never expected this kind of a service but was really good, the city tour was really good ! It was nice- driver pick us up on time. Worth my time and money. Thanks for the hassle free trip… the tour was good.